Works on Glenholmes Holdingham Grange care home in Sleaford are now well ahead of schedule thanks to main contractor Goldfinch with completion being brought forward from June to April 2018. The design wraps around a very large central courtyard providing a totally secure environment for its residents. The home has 64 beds on two floors. Ward Associates (Consulting Engineers) have been appointed on the construction phase of the latest Hamberley 70 bed Care Home scheme in Oxford. WA CE worked with the Hamberley team through the planning and tender stage to develop a cost effective drainage strategy and achieve planning condition discharge prior to contract appointment. J Tomlinson have been appointed as Main Contractor and we look forward to working again with them on this exciting new project. Works are progressing well at St. Francis Residential Home, Chingford. 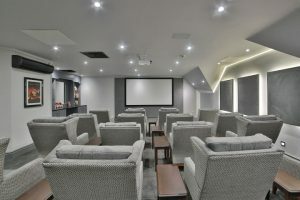 The development includes the addition of an 8 en-suite bedroom extension at ground floor level, and provision of additional dayspace to the existing building, so as to raise standards of the existing home. 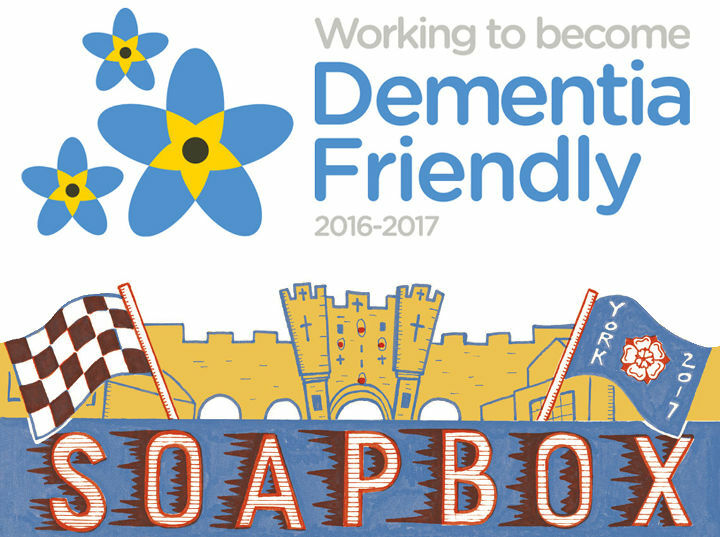 Our fundraising events for the York Teaching Hospital Dementia appeal have been a great success, and an enjoyable day for all involved. 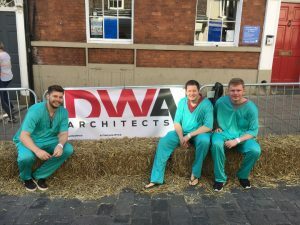 Above pictures the start ramp for our sponsored Soapbox Race. 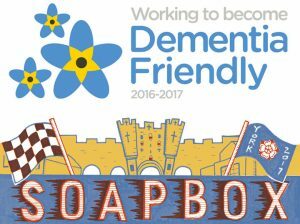 Risking life & limb for the YTH Dementia Appeal; click the left video link for a look at our spectacular soapbox crash! Perhaps not the best start, but things quickly picked up and DWA ended the day with a ‘Micklegate Business Initiative Star of the Day’ Award! 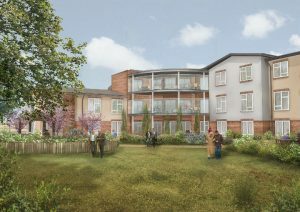 Practical Completion has been achieved on a 76 bed care home for Avery Healthcare in Bristol. 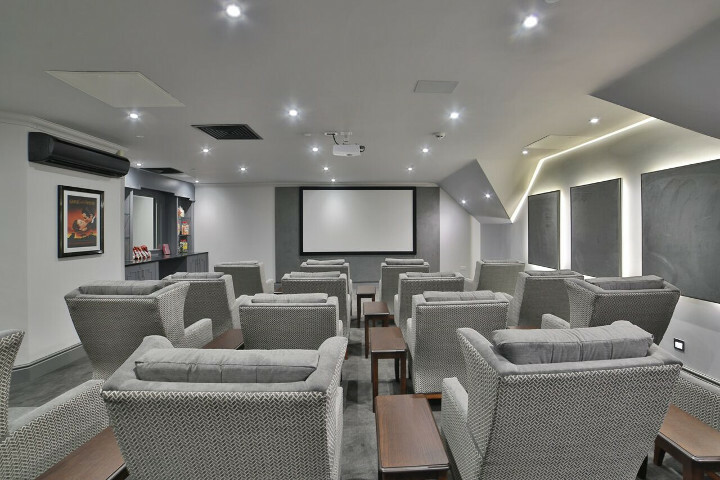 Constructed by Halsall Construction, the accommodation boasts luxury living for residents, including superbly equipped en-suite facilities, activity spaces, hair salon, spa and cinema. The home is designed by DWA Architects with Structural Engineering services provided by Ward Associates (Consulting Engineers) Ltd and Project Managed throughout by Ward Associates (Project Services) Ltd.
Ward Planning Consultants have had yet another success achieving Outline Planning Permission for a residential development on the edges of the village of Hemingbrough in the Selby District. Our team of Planning Consultants (with the help of DWA Architects who provided the indicative site layout plan) achieved this permission by demonstrating the sustainability and suitability of this site to the Local Planning Authority and to Members of the District Planning Committee during a recent Planning Committee meeting. Importantly, this planning permission was achieved despite the fact that the site is located outside the settlement limits of the village where new residential development would normally be resisted. This decision further adds to our Planning Consultants long list of successes and demonstrates their insight to advise clients on the development potential of a site which some may have disregarded. The National Planning Policy Framework (NPPF) requires Local Planning Authorities (LPAs) to significantly boost the supply of housing. This is to be achieved by identifying a 5 year housing supply and ensuring local plans meet the full Objectively Need Assessment (OAN) for housing. How does the 5 year supply impact residential developments? Where Council’s cannot demonstrate a 5 year housing supply, planning policies relevant to the supply of housing should be considered to be out of date and given less weight in decision making. Whilst there remains a need for developments to be sustainable, the absence of a 5 year housing supply provides added opportunity to achieve residential development on sites normally resisted by local development plan policies. How are Council’s performing and what affect does this have? A study undertaken by PAS (Planning Advisory Service) in 2014 identified that nearly half English planning authorities don’t consider they have a five-year housing land supply as required by the National Planning Policy Framework (NPPF). As the need to have a 5 year supply is ongoing Councils will continue to be under pressure to hit these targets and the implications of this will remain. If councils do not meet the 5 year supply, the NPPF says, the “relevant policies” in their local plan are not considered up to date, decisions are liable to challenge and the framework’s “presumption in favour of sustainable development” is used to determine applications at appeal. This ultimately provides opportunity for residential development (including C2 uses) to be approved in locations where the Council may not normally consider it appropriate. At Ward Planning, we have developed a good understanding of the implications of the 5 year supply policy. This is demonstrated by our numerous successes on the subject, both through planning applications and appeals. Ward Structure visited the care home development site in Bristol yesterday, where the ground floor planks are currently being installed. A large proportion of the steelwork to the atrium is also complete. 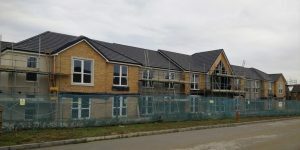 The Project Management team have recently taken photos from on site, at the development of a brand new care home at Badminton Road, Downend, Bristol.